As the number of older Americans continues to grow significantly, many are facing problems finding physicians who are trained and experienced in treating the health problems that become more common with age. But there are steps you can take to help ensure that your parents have access to the physicians they need. Why can’t I find a geriatrician? According to the U.S. government, the fastest growing age group in the country is people over 65. The government projects that in 35 years, there will be 90 million people who are 65 or older and 19 million people over the age of 85. In contrast, there are currently only 8,000 geriatricians in the U.S. and the number is decreasing as fewer medical students choose to specialize in geriatric medicine. According to the American Geriatrics Society, in 2010, only 75 residents in internal or family medicine entered geriatric fellowship programs. In fact, 97 percent of current medical students in the U.S. take no courses in geriatrics. One reason that the number of geriatric specialists is declining is, in spite of the fact that geriatricians must go through several years of specialized training, the field is one of the lowest paying in medicine because most geriatricians are reimbursed through Medicare and Medicaid. Many geriatric offices and clinics across the country have closed because they were no longer economically viable. Geriatricians are not the only physicians who are projected to be in short supply. The Association of American Medical Colleges recently released a report that projects a significant shortfall in the number of surgeons, especially those who treat cancer, and general primary care physicians. Because people tend to have multiple health issues that need to be managed as they get older, it’s important for your parents to have an ongoing relationship with a primary care physician who has experience treating older people. That physician should act as the point person, coordinating care with all the other physicians your parents receive care from. 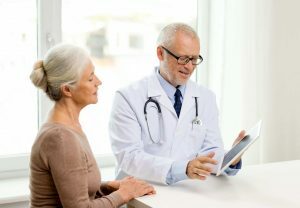 Another resource that can be helpful for both connecting with physicians who specialize in caring for older people and coordinating care and communication among all members of your parents’ care team is a personal health advisor. Helping your parents get the appropriate support and access to resources is a key step that can help them better manage the health issues they face.